This slim fit shirt is made from the finest cotton. It has a small modern collar and a front button fastening. Long sleeved, it has buttoned cuffs and a straight hem. 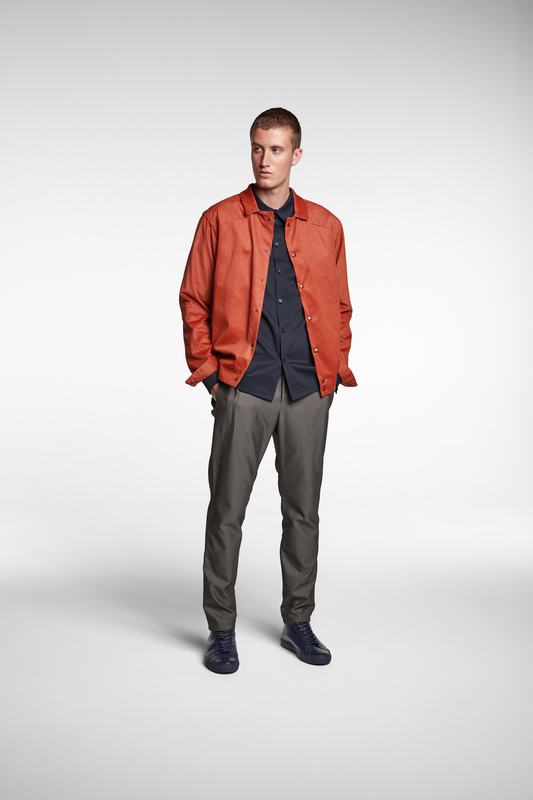 This lightweight jacket is based on the shape of a shirt and made from the finest cotton cord. as well as cuffed sleeves and an elastic hemline. they have welt pockets at the back and sides, neat press folds and a classic zip fly fastening.